If you can't wear a red lip on Valentine's, when can you? There's something about a bold red lip which oozes effortless style and sophistication, it goes with any outfit and completes any look. Here's my step by step guide to creating the PERFECT one. I always start with a sharpened red lipliner and trace the line of my lips. Red is a very easy colour to create fuller lips, so if you aren't blessed with naturally full lips, you can slightly overdraw your lips to the desired effect. I then colour in the lips with the liner to give my lipstick a base to stick to. 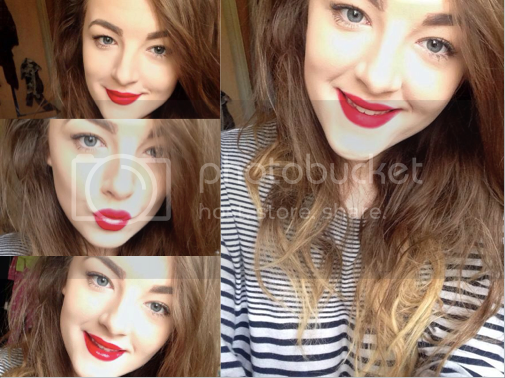 The trick to getting a red lip right, is to be precise. The slightest mistake will show up so take your time and use a lip brush. MAC's Ruby Woo is my red of choice, I love the matte finish and the formula isn't creamy so it clings to the lips and doesn't transfer. I like to use the Detailer Brush by Real Techniques after applying the lipstick by the bullet, to apply the lipstick evenly and neatly to the edges and corners of my lips. Blot between layers to give the lipstick a bit more longevity and to intensify the colour. To neaten up, I always take my concealer on the smallest brush I have and take it around the lips to get rid of any smudges or wobbly lines. To set, you can either use a lipstick sealer such as the one from Lipcote, or some translucent setting powder, to ensure that the colour stays put all night. 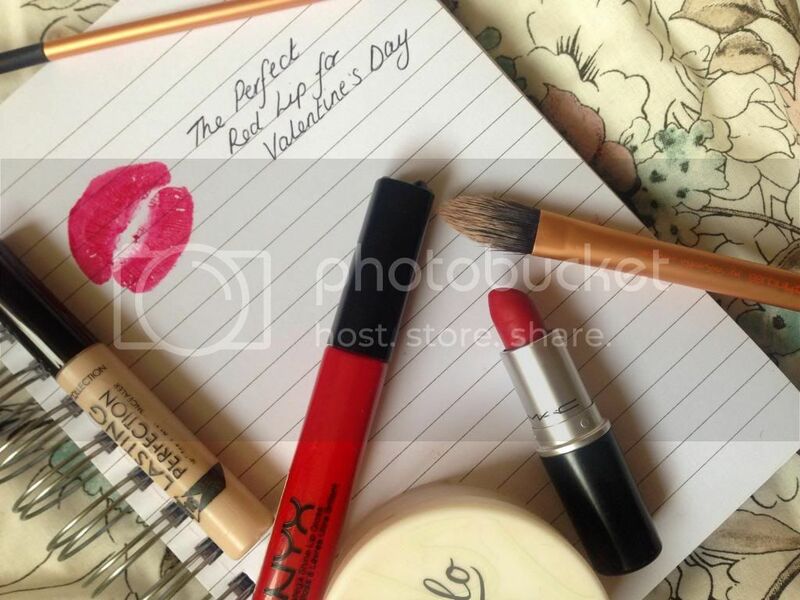 A final step if you're more of a gloss girl, is to take a gorgeous opaque red lipgloss such as Perfect Red from NYX. The formula of this gloss is just perfect, none sticky, super glossy and intense colour pay off. It glides nicely onto the lips and feels really smoothing. It's a fab alternative to a liquid lipstick which can by really drying on the lips. Adding gloss to the centre of the lips can help to give that fuller pout appeal too! What's your go to Red? Amazing! Love the pictures, this shade really suits you. My fave red MAC shade is Russian Red! Now following your blog, looking forward to the next post! So pretty!! I also have Ruby Woo and love it! I'm still looking for a red lip liner to go with it. This colour looks amazing on you :D You are so pretty!